Those films from the 90s that had roots in the southern gothic thematic tradition were relatively compelling and a had lasting impact on their audiences. And in these films, abundant were more of a variety and holistic look at Black female representation. 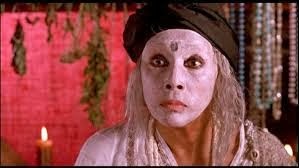 In contrast with urban horror, Black women had more of a central presence in 90s southern gothic. Likely because women were writing the books, scripts, and behind the camera. Additionally, it is even interesting to note the spatial contrasts where the southern gothic commonly has both feet in the rural south, with a touch of softness (or supposed natural femininity) to it but the grit of any urban setting is all too frequently coded as masculine. These concepts are a primary critique of mine when it comes to Black 1990s horror. This sentiment is in no way fixed, but it isn't difficult to distinguish within these very marginal genres. Regardless, I wanted to focus on two southern gothic films from the 90s that did the job of creating a space for Black women in horror unlike anything else during its time. 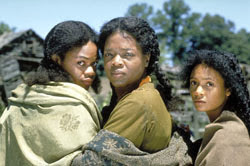 Beloved, based on the book penned by Toni Morrison produced strong performances from its entire cast. It is clearly the film's piercing themes of a haunting and a fear of remembrance that brought out the strongest performances in its players. What is meaningful about watching Sethe's (Oprah Winfrey) story unfold is both past and present are moments of joy and sorrow. She is haunted by the spirit, then physical manifestation of the daughter she slain to save her from a life of cruelty by the institution of slavery. What was symbolically translated through talks with Paul D (Danny Glover), her lover, prior to her escaping for freedom are the differences between the Black male and female experience during slavery, which were the most powerful exchanges of dialogue throughout the film. Although struggling with her past, she finds some semblance of agency through her voice as a free woman. She exuded sexuality as a means for comfort and pleasure equally. She insisted upon a selfhood for herself and her children. Although the film takes place in rural Ohio, a southern gothic tradition of wide, open outdoors spaces surrounded by nature and minimal technology, fragmented bodies, spirits, and low functioning characters that drive the story sums up a wealth of the plot and setting of Beloved. Give writer and director Kasi Lemmons all the credit. She channeled her frustration for the lack of meaty roles for women of color in Hollywood into a film of her making packed with the richness of young and upcoming as well as distinguished and ageless Black female actresses and representations in her narrative. Eve's Bayou makes family dynamics messy as a well-to-do southern family in the early 1960s is wrought with the natural and supernatural trials after Eve (Jurnee Smolett-Bell) gets wind of her father's infidelity. Later riddled with regret for her visceral and childish decisions, this tale told from Eve's center is enjoyable for its twists, the different relationships she has with each character, and Diahann Carroll... I mean, it's Diahann Carroll! Both films give into the examination of the human condition's "potential to do harm." I find this fascinating as pertaining to Black women and the southern gothic because both films celebrate the complexity of these characters ability to be strong in the face of physical and psychological depression as well as show flaws that carry a substantial weight in their reasoning. 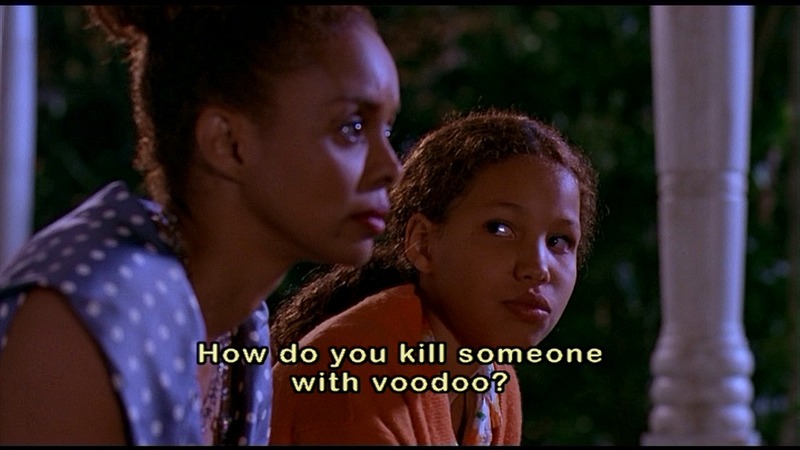 Both Eve's Bayou and Beloved are wonderful Black female character studies and remind us that horror in the 90s did have depth that transgressed the mainstream market.